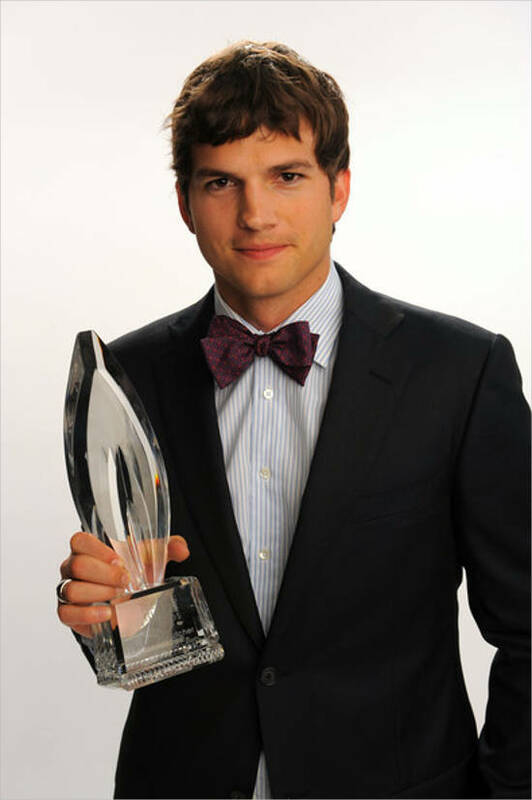 Christopher Ashton Kutcher was born on February 7, 1978 in Cedar Rapids, Lowa. He is an American actor, tech investor and producer. 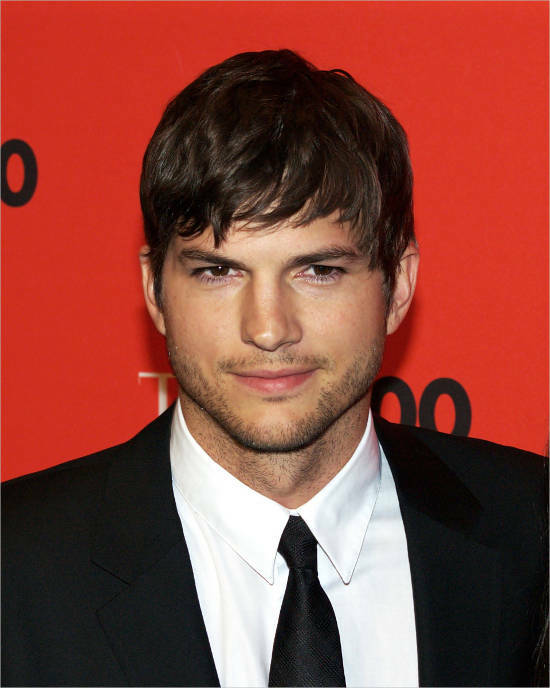 In 2010, Kutcher was named one of Time Magazine’s Top 100 Most Influential People. He is one of the world’s highest-paid TV actors. He is the co-founder of venture capital firm A-Grade investments. He is currently the Chairman of the Board of his self launched Twitter client with UberMedia called A. plus which was launched in March 2011. 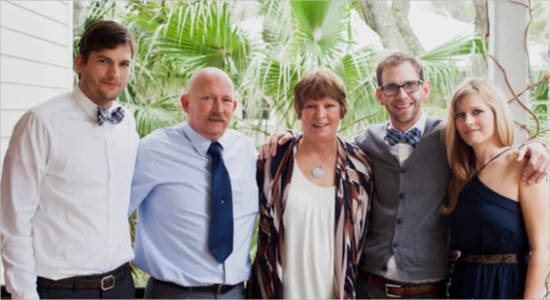 His father, Larry M. Kutcher was a Czech factory worker at General Mills Factory and his mother, Diane Finnegan, an Irish-German used to work with Procter& Gamble Company. His elder sister’s name is Tausha and he also has a fraternal twin brother named Michael who suffers from cerebral palsy. Later, his parents got divorced while the kids were still young. 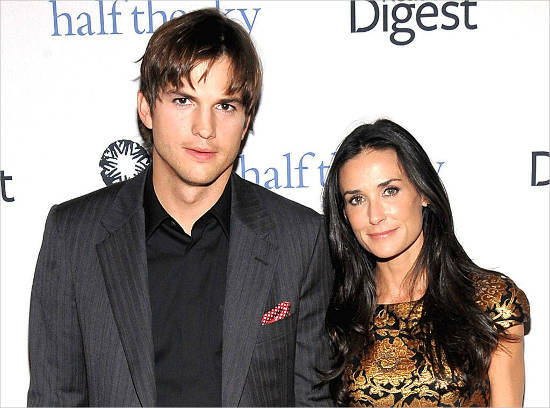 Ashton Kutcher’s first wife was Demi Moore whom he married on September 24, 2005. Demi is an American actress, songwriter and model. In 2009, they established an international human rights organization against sexual exploitation of children called DNA Foundation, later named as Thorn. They later got divorced in the year 2013. In 2014, he got engaged to Mila Kunis. Mila was born on August 14, 1983. Mila is Jew whose family migrated from USSR and she cites anti Semitism as the biggest reason for her immigration from USSR and settling to United States of America. She is an American actress who won an Award for best young actress at Venice Film Festival in 2010. Ashton and Mila worked together on television in 1998 in a show called “That 70’s show”. They got married in 2015. She gave birth to their first child, a girl named Wyatt in 2014. They also have a son together named Dimitri Portwood who was born in November 2016. He used to work in construction with his father till the age of 10. He went to Washington High school in Cedar Rapids. During high school he did various odd jobs, including janitor, butcher and factory worker at General Mills. Later when he joined the University of Iowa, he majored in biochemical engineering. Later, because of keen interests in acting, he won a modeling competition, dropped out of college and moved to New York, then Los Angeles to pursue his passion. 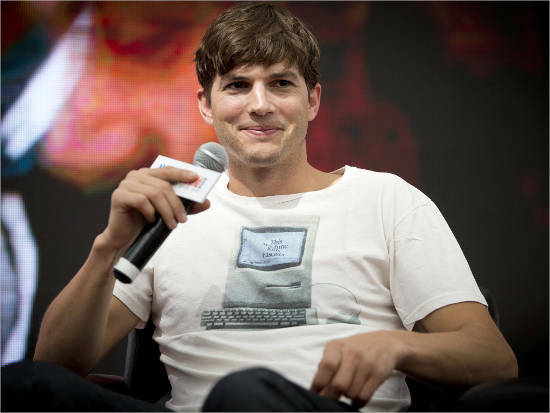 Besides being an actor, Kutcher has also successfully invested in several high technology startups. Five years ago he and Oseary (his partner) invested $500,000 in Uber which is now worth 100 times what they had paid. Some of his investments include Skype, airbnb, etc. in 2003; he created a show on MTV with his partner Jason Goldberg. He has also invested in an Italian restaurant called Dolce. He became the Creative director of a startup, Ooma in 2007. In 2013, Lenovo hired him as its product engineer. In 2011, he created a venture fund, A-Grade Investments, with Ron Burkle and Guy Oseary. Together they invested in tech companies like Spotify, Foursquare, Fab, Uber, Dwolla, etc. On March 14, 2015, Kutcher announced Sound Ventures, the successor to A-Grade Investments. Over six years they have converted their $30 million fund into $250 million. He also created an interactive arm of Katalyst with Jason Goldberg and named it Katalyst Media. His company, Katalyst, was named one of the year’s Top 50 Most Inspiring Innovators by Ad Age. Catalyst was also named among Fast Company Magazine’s Top 10 Most Innovative Companies. His venture capital fund has also been coming in first position on Forbes. He was the first Twitter user to obtain 1 million followers. 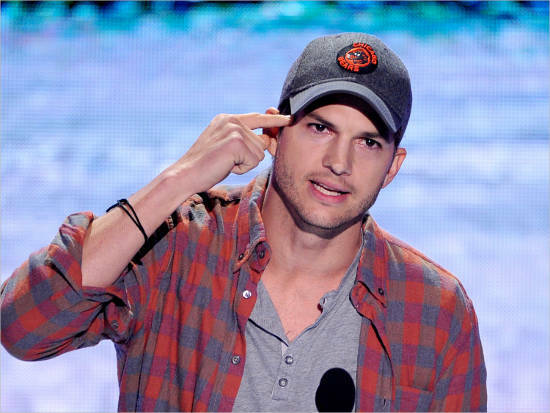 Ashton Kutcher’s net worth is of $140 million.